Work has been killing me lately (the last several months), but things are starting to calm down and I think I only worked about 45-50 hours last week. I spent yesterday with the family at the zoo. Charlie has been to the zoo more times in her 12 months of life than I had been in the 31 years before she was born. She likes any animal that is moving, and she absolutely loves the carousel. Kelly’s sister has a zoo pass and the three of them (Kelly, Charlie and Aunt Katie) have gone many times over the past spring and summer. So anyway, today I thought I’d take some time to either work on some side projects or try to pick up some knowledge on some newer bit of tech that I haven’t been able to use yet. I decided to finally try (again) to play around with some WPF stuff. I don’t have an immediate use for it, but there is some upcoming stuff at work that I might like to create with WPF. Previously I’ve played around a little with it in VS and Blend, just to sort of get a feel for it. Today, though, I thought I’d read and have a little more structured learning. 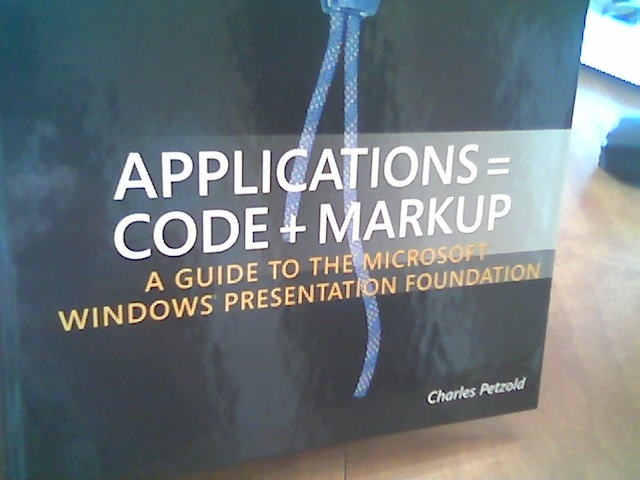 Fortunately, I had a copy of Charles Petzold’s WPF book in the home office (Applications = Code + Markup), so I grabbed it and started flipping through it — structured flipping, of course. I read a few pages and then started scanning through the book to see if there were any topics that seemed to particularly interest me. 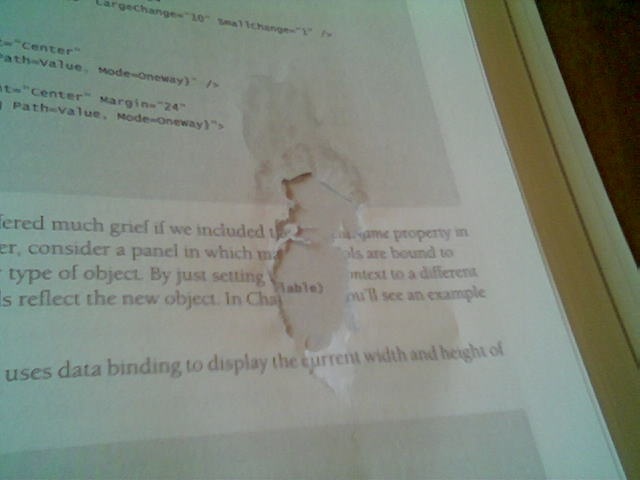 That’s when I finally got to page 611. As you can see, Mr. Petzold must have been busy with other things at the moment he was writing this page. Maybe he was thinking, “Hmm, 611. That’s the number I call to connect directly to my phone company.” Or maybe he knows someone born on June 11? I don’t know what it was, but he forgot to include part of the page. Or maybe it’s not his fault at all, and some rogue employee at the publisher decided to sabotage the book? The strangest part of all of this is that there is also part of page 612 missing. Coincidence? Unlikely. I’m not sure what to do. This is very discouraging. 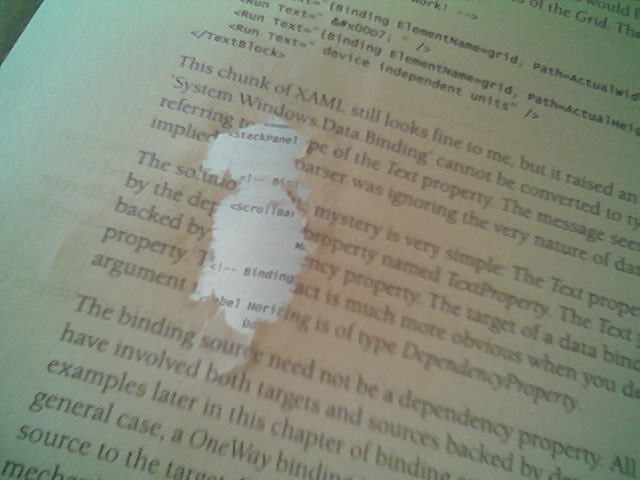 Maybe I should give up on reading and go outside or something.